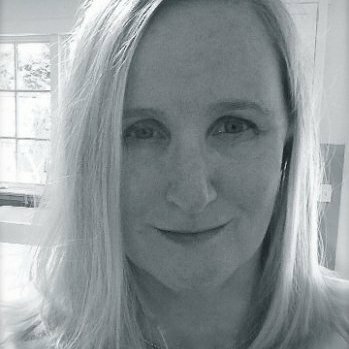 Deb has spent more than twenty years developing ideas (and people) in marketing and event strategy, brand positioning, collateral material design, strategic partnerships, and revenue generation while holding positions at The White House, The Advisory Board Company, and Atlantic Media Company. Prior to joining the Institute on a full-time basis as Senior Advisor, she was the President of her own company, Fleuris Group, where she helped clients to formulate new products, raise funds, design messaging campaigns and collateral, and to create live event gatherings to advance clients messages and relationships with key audiences. Clients included: Forbes Magazine, National Journal Group, Foreign Policy/FP Group, The New Republic, New York Public Library, Georgetown University, Meridian International, and Venture Philanthropy Partners, among others. In her prior role as Executive Director of Marketing at The Atlantic, Deb brought the same skills to bear for that organization. As part of the Atlantics live event strategy, which was critical to the enterprises financial turnaround, she created customized marketing programs for the companys largest corporate advertising partners, and led The Atlantic team responsible for co-creating the Aspen Ideas Festival with The Aspen Institute. Prior to accompanying David Bradley to The Atlantic (following his purchase of it in 2001), she spent more than a decade building the revenue operation — and preparing for IPO — the Advisory Board Company, a membership-based research and consulting firm serving 1000+ healthcare and other corporate institutions. Raised in California and a graduate of the University of California at Los Angeles, she stillmore than two decades laterconsiders herself a Californian at heart. Actively raising two teenage sons, Deb lovingly lectures them that You Own Your Personal Brand, and often laughs with them to the point of tears.